Apple has presented its iPhone and iPad latest operating system IOS 12 on the occasion of WWDC 2018 on Monday. According to the expectation, Apple announced several improvements regarding performance and software stability. Apart from this, many new features were screened, from ARKit 2 to Siri. Screening time screen feature was also introduced. 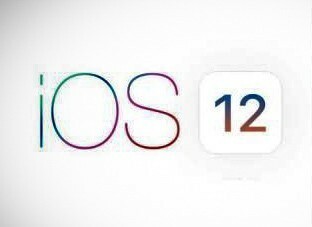 At Apple's WWDC Keynote held in the company, the company informed that all devices supporting iOS 11 will get an update of iOS 12. This means that the company will not exclude any device from the list of updates this year. The iOS 12 developer preview is available on the developer's website. The public beta variant will be made available by the end of the month. The stable version of iOS 12 is expected to be made available to all iPhone by the end of the year. All iPhone models, all iPad Air and iPad Pro models, iPad Fifth Generation and all subsequent models, iPad Sixth Generation and above models, iPad mini 2 and above models, and iPad Touch Sixth Generation in this update...!!! Apple's popular digital assistant Siri has also been upgraded. With the help of Siri Shortcuts, this assistant will be much smarter than before. Now Siri will perform the action while keeping time, location and calendar in mind. For example, Siri now will scan your email and give you the next meeting information. The actions will be customized. With the help of the new shortcuts app, users can also work from other apps, and this will require just one button pressing or voice commands. With the help of a new shortcuts API, developers can take advantage of this feature in their app...!!! Big upgrade to iOS 12 has been made in the field of Augmented Reality. Apple has introduced ARKit 2 framework, which is equipped with multi user AR feature. This means that now support for many users has been introduced in the same AR environment. This software development kit comes with improved face tracking, realistic rendering, 3D object detection, and precision experiences. Apple has introduced the new open file format, USDZ, which comes in compact single file with Universal Scene description. This file format has been optimized for sharing...!!! The Photos app in iOS 12 will also get some upgrades, the most important of these are the designs. Every year on iOS device there are trillion photo shares. Now in the Photos app, search suggestions have been added which will highlight important moments. Apple has indexed 40 million events for user convenience. With this help, you can easily find photos of a particular music show or sports event in the Photos app. The app brings a new For You tab that is for Personalized Memory. This will show you pictures of the same day last year. This will be done through memory and iClau shared albums. Suggestions in photos app in iOS 12 will inhale videos and photos in your camera roll. Finally, sharing suggestions suggest a user to share photos with the people who are tagged in the photo. Photos will be shared in full-resolution in Icloud Photo Library...!!! Apple News on iOS 12 has been updated. A new browse tab has been introduced in the new Apple News app, which will allow users to search new topics and publications. The new sidebar has been added to the iPad app so that more part of the screen is available for the readers. The stock app has been given a new design in iOS 12. Apple News now supports the Stocks app. Here's the business news set by the Apple News Editorial team. Now detailed information on tap on the stock will be available, which will include news headlines, after hour pricing and full article reading. In addition to that iPad has come to stock Android. The design of iBooks has changed. It will now be known as Apple Books. It has a new reading Now mode with the help of which users can start directly from that page where they left the last reading. There is a new incarnation of inbuilt stores too. Now it will be easier for the user to browse in eBooks and audiobooks. In addition to this, Apple has introduced a new voice mamos and it has also been made available for the iPad...!!! Tang detection and wink support has come in the default messages app for 3D animations based on 3D. We found this in the iPhone X. Apple has added animations like Ghost, Tiger, Quilla and T-Rex...!!! In iOS 12, a new feature called MEMOJI has been introduced, which makes the customizable 3D emoji a part of iPhone X. In view, the memoji looks like AR emoji presented this year with the Samsung Galaxy S9. Apple has now added new camera effects to the messages and the FaceTime app. With this help the user will be able to add filters, stickers, text and animosity to photos and videos...!!! Apple has introduced new features that will allow users to cut the time of using smartphones and tablets. Do Not Disturb is now heavily loaded, which now works to remove the notification clutter at bedtime and in the morning, the user gets just one good morning message. After user taps on the display, iOS will make 12-day notifications public Users can already activate Do Not Disturb mode based on the time, event or location. The screen time will give a report every week, which will give you details of the most used apps and app topics on mobile devices...!!! Notifications are also getting better with the help of latest mobile software upgrade. Users can decide which app's notifications appear on the lock screen. And who will go directly to the Notification Center. Siri will help in getting rid of the occasional app notifications. Apart from this, notifications will be grouped in iOS 12...!!! Apple's own video calling app will now have a group call feature in FaceTime. 32 users can participate in any audio or video call at a time in the FaceTime. Many work features have also been provided. Such as maximizing the video window of the person talking during the call. Participants can be added to group calls at any time...!! !